A lot of people have heart problems and there is a long list of those seeking transplant because unlike other parts of the body, tissues of the heart do not repair or regenerate on its own. Fixing heart ailments often requires surgical procedures and these surgeries are often difficult and risky. There may be an answer to these challenges thru a process known as 3D bioprinting. This method has been advocated to remedy the need for transplanting of tissues and organs. 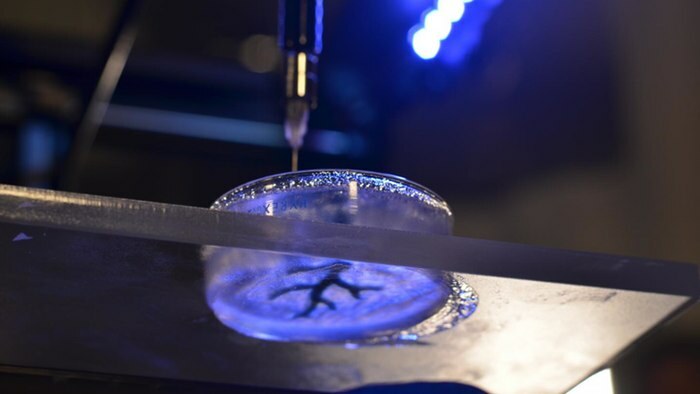 The process on 3D bioprinting makes use of self-supporting materials for regeneration of the nerves to create a 3D heart in preparation for surgery. In a delicate process such as 3D bioprinting, it also involves some challenges when using soft tissues since these replicated tissues are not being supported by the other layers of tissues. However, a team known as the Regenerative Biomaterials and Therapeutics Group discovered the use fibrin and collagen in bioprinting of coronary arteries and hearts. These groups are led by Adam Feinberg who is an associate professor of Carnegie Mellon University on Biomedical Engineering and Materials Science and Engineering. The team of Professor Adam Feinberg discovered the use of open-sourced software and hardware making 3D printers affordable on a consumer-level. The technique they are using requires printing a gel inside another gel. This approach is known as Freeform Reversible Embedding of Suspended Hydrogels or FRESH. According to Feinberg, gels collapse just like any Jell-o; therefore they developed a technique of printing one gel inside of another gel to provide support. In this manner, they are able to position precisely the soft material as they undergo the process of 3D printing on a layer per layer basis. In order to create the printed designs of the artery tissues and heart, MRI images are taken then through the 3D printer, layers of the second gel are injected inside the translucent support gel. When you submerge the support gel in a body-temperature medium like the human body, it melts but it leaves the bioprinted living cells undamaged and intact. After which, heart cells are integrated into that printed form to assist in the creation of the contractile muscle.